Over the last 25 years, Ive been an accountant, business owner, and business coach. Now, I have taken that knowledge and experience and created online, industry-specific training courses for new business owners. We have courses for Affiliate Marketers, Coaches (Business, Life, Health, Etc - not sports), Freelancers, Membership Site owners, Network Marketers, Online Store owners, and Real Estate Investors and Agents. Youll benefit from countless years of experience, including the must-have DOs and DONTs of successful business owners who have been right where you are now. * Avoid the pitfalls that will cause trouble, including those you can ignore. 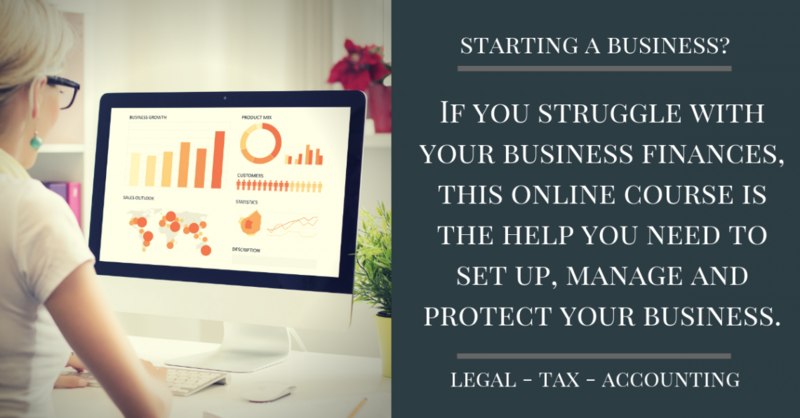 * Taught by an Accountant and Business Owner who understands what youll need to set up the Legal, Accounting and Tax aspects of your business. As a result, there’s no fluff, leaving highly actionable content. * Each Module contains audio, text, and/or video for you to follow along while you set up your own business. The information is in easy to understand language - not confusing Accounting or Legal lingo. * Youll also have access to a blog with additional business information that may be beneficial to your business. The blog also has answers to questions received from Clients. * Live Chat available for you to ask questions.